A pair of nature drawings today. These are basic landscape drawings, but I wanted to experiment with some shadow elements as well as the oil pastel. In combination, I like the effects of the colored pencil and oil pastel. 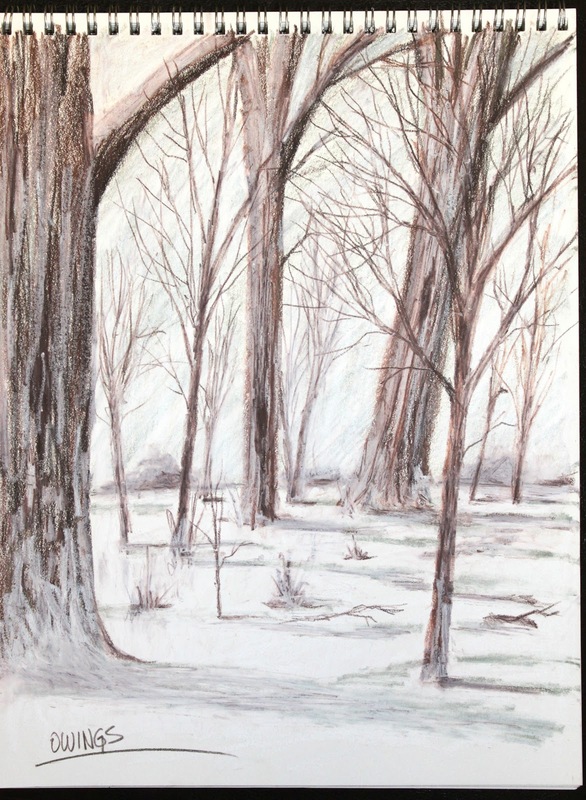 The pastel helps to mute the stronger tones in the color and is especially good for distant objects. I really find trees fascinating. They have so much detail and character and there are no two exactly alike. I suppose in that way trees are like people. I bought another Derwent chocolate colored pencil because I'm almost done with the first one I bought. My son got me a gift certificate for a local art store. It was a really thoughtful Christmas gift. In the solo tree below I wanted to work on texture and light. I wanted the tree to look full and vibrant. 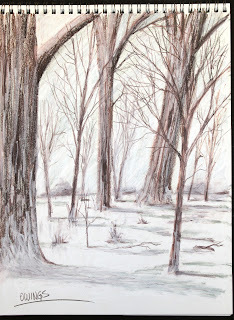 Again, I used the oil pastel to mute and highlight. I think you're right Debbie it does look a little too perfect and it is lonely. 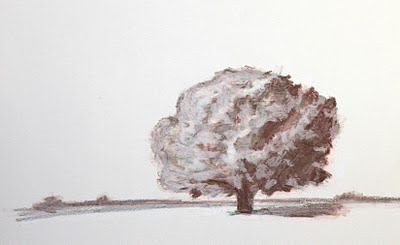 It was a good opportunity to dry out the oil pastel in combination with the pencil. Are you working on or posting anything these days?